Everyone loves to celebrate the festive season with yummy food, Christmas carolling and lots and lots of gifts, but finding the perfect present can sometimes be a challenge. Here at Energetiks, we get super excited to surprise our fellow dance-obsessed friends with the top picks from HQ. We’ve rounded up all the best stocking fillers and gift-worthy offerings to make your life easier at this busy time of year, so read on for the ultimate Giftmas Guide for every dancer. We’re obsessed with the fun print on this duffle bag, created by one of our super talented in-house graphic designers. Cute, dance-themed emojis and slogans like “Never Not Dancing” and “Chookas” will keep you inspired every time you go to class. It features a handy side pocket and inside zip pocket to keep all your small accessories safe, and its durable, wipe-clean construction makes it easy to care for and ultra long-lasting. This playful duffle comes in both classic Black and vibrant Mulberry pink. Perfect for popping under the tree! P.S. They look great on girls too, like Portia in our street styling shoot earlier this year. We love anything that involves pointe shoes, which are already beautiful reminders of the hard work, dedication and artistry that goes into ballet. Our unique hand decorated pointe shoes are a special gift, because they are one-of-a-kind, designed by our in-house artists each year with lots of care and attention. We have a select few designs available so make sure you snap one up quickly before it’s gone! Just remember, these shoes are purely decorative and should not be worn (they come in a cute clear display box to keep them safe). Jewellery is timeless, which makes it a beautiful gift that lasts forever. Even more special is when it has meaning, which is why anything featuring a dancer or something dance related is a really thoughtful way to show the person you’re shopping for that you care about them and what they love to do. We found lots of inspiration when hunting for the perfect jewellery pieces, from sweet Pandora charms to unique handmade offerings on Etsy. Our favourite is this quirky little ballerina pendant from Ted Baker - how cute is she? This handy little bag was on our 2017 Giftmas list, but we love it so much we’ve added it to our must-haves for this year too. It is perfect for storing your dance shoes (especially pointe shoes), with breathable mesh to help them dry out between classes. It also has a zip pocket on the front for holding your pointe pouches, toe tape, or anything else you might need to look after your feet while you dance. P.S. Why not fill it with some cute gifts and hang it up as a tiny dance-themed stocking? Energetiks’ very own ambassador Alexandra McMaster (a.k.a. 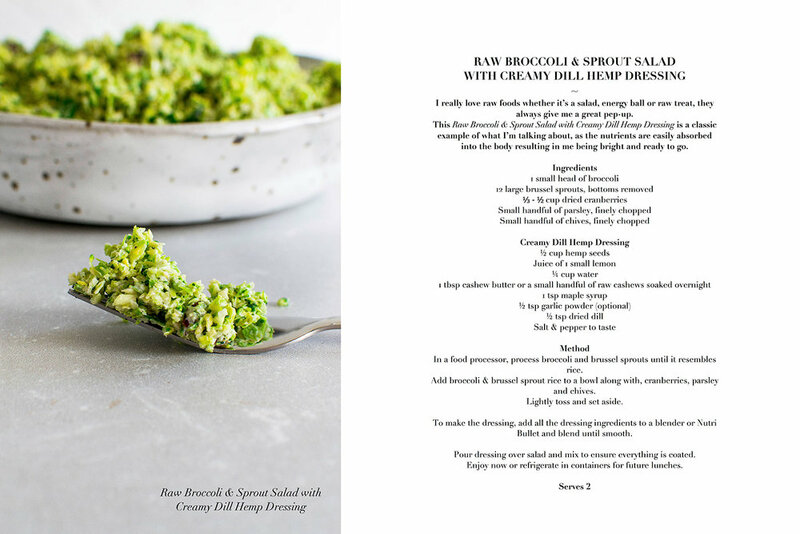 Ballerina Bites) has just released an eBook of recipes designed specifically to fuel dancers’ bodies to get the most out of their training, without compromising on taste. In this eBook you’ll find Alex’s journey to plant-based eating, her pantry essentials, and recipes for breakfast, lunch, dinner, and everything in between. If you’ve ever read one of Alex’s recipes on this blog, you’ll know that she always finds the perfect balance between delicious flavours and much-needed nutrients. This is a unique gift that is also really useful, so head over to Alex’s Etsy store to purchase a super easy digital download. The stunning florals featured in the Aria Collection make up one of our favourite ever print designs. This beautiful collection is in perfect harmony with professional and aspiring professional dancers, and is available in Adult’s XXS to Adult’s L.
There are several exquisite leotard designs with innovative Tech Mesh panelling, as well as the best-selling Bailey 7/8 Legging and Eve Crop for those who prefer contemporary, jazz, or heading to the gym. These limited edition pieces are selling out fast, so if you have a dancer in mind who will love a little Aria under the tree, it’s the perfect time to buy. This ballerina themed body scrub is created by Lush, and is infused with yummy smelling plum and orange as well as sea-salt to gently exfoliate your skin. We absolutely love the sweet ballet reference (The Nutcracker is one of our favourites, especially at Christmas time! ), and it’s always a good idea to remind hard-working dancers to take a little me-time every now and then. Wrap this limited edition beauty up and hide it in a Christmas stocking, or better yet, pick a few more products like the Razzle Dazzle Bath Oil (Chicago anyone? ), Sugar Plum Lip Scrub and the Disco Bath Bomb to make your own dance-inspired gift set! Filled with stunning dance images, the 2019 Calendar will keep you (or your giftee) inspired all year long. It features gorgeous photographs of Energetiks dancers and ambassadors in a range of beautiful locations, from Australia to London. It really is the ultimate stocking stuffer! Featured dancers include Maeve Nolan, Kristy Lee Denovan, Dominic Ballard, Alexandra McMaster, Brooke McAuley, Reed Luplau, Lucelle Davis, Dara Martin, and Louis McMiller. The awesome Dream Dance Company teamed up with Energetiks to release some limited edition merch this year, and we’re all about it. Think loose, relaxed-fit tees and comfortable, easy-to-move-in track pants and leggings, all with the Dream Dance Co’s logo so you can rep your favourite company wherever you go. These fun pieces make a great gift for any dance (and Dream Dance Co) fan, and you get to support homegrown, Aussie dance talent. Don’t forget, there are plenty of other gift ideas available in store or online for every dancer. If you need help choosing the perfect present, don’t hesitate to reach out and speak to our amazing customer service team or dancewear consultants.